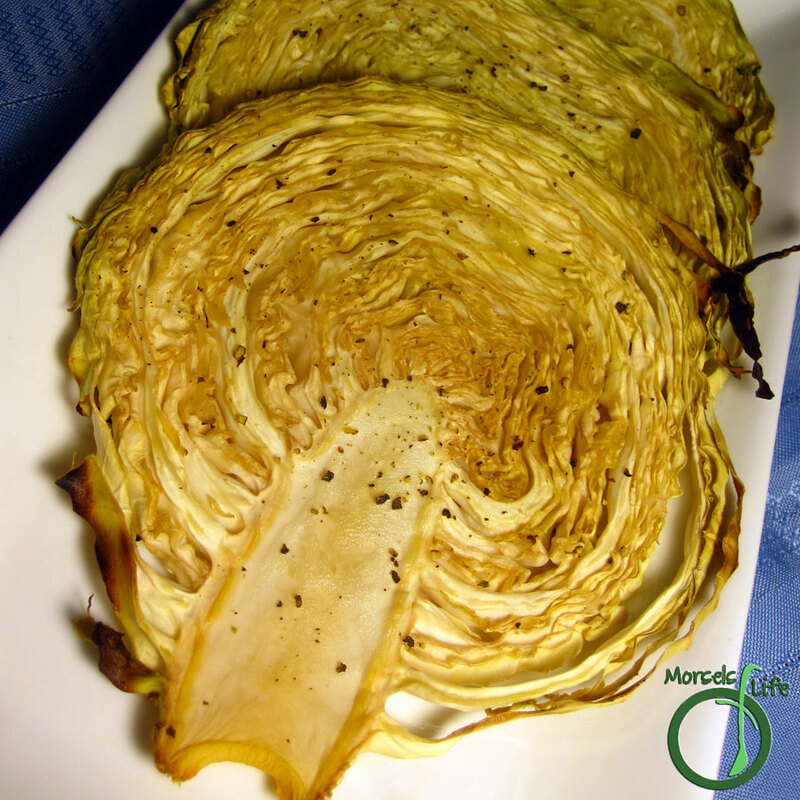 Simply slice up some cabbage, sprinkle on some salt and pepper, and make some delectable roasted cabbage slices. If you've read this blog for any length of time, you know I'm all about quick and easy without sacrificing tasty. Well, I'm here to share a recipe where you actually increase the tasty, quickly and easily! I'm normally not a fan of cabbage, and I found roasting really brought out flavors I didn't know cabbage had! I actually don't even buy cabbage normally since I don't much care for it. But at 9 cents a pound, I figured I could make something. I figured if I really couldn't come up with anything, we could just eat cole slaw for a while (hence the series). Well, all those worries were unneeded. Thinking about another vegetable I hated, broccoli, I realized roasting broccoli made the formerly detestable vegetable into a delectable delight. Why not give it a try with cabbage? I'm certainly glad I didn't just give up on cabbage! Even my dislike of cabbage couldn't beat the awesome roasting brings to the table. Quick, simple, and tasty - roasting vegetables saved the day! What's a food you thought you didn't like - until you found the right cooking method? 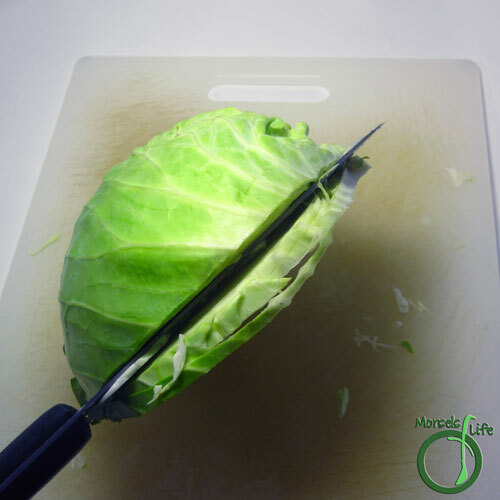 Cut cabbage into quarter inch slices. Spray a bit of oil on each slice and sprinkle some salt and pepper on top. Bake at 425F for 25 minutes. 2. 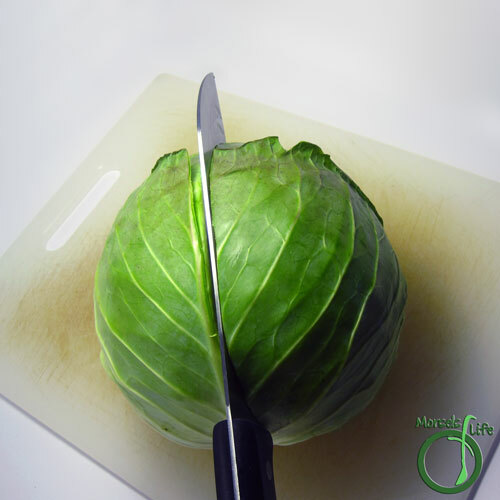 Cut cabbage in half. 3. 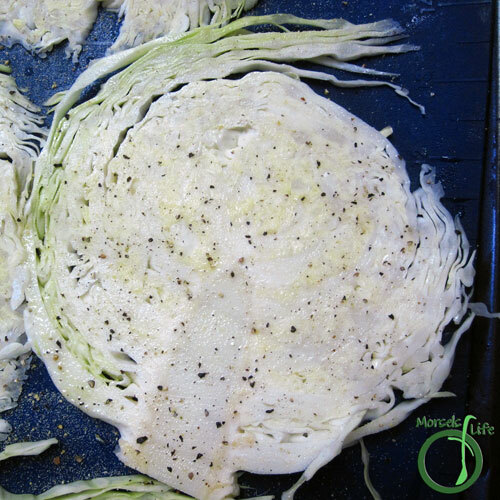 Cut cabbage into quarter inch slices. 4. Spray a bit of oil on each slice and sprinkle some salt and pepper on top. Bake at 425F for 25 minutes. I'll have to try this. We usually use it for saurkraut, kimchee amd coleslaw. This would add another dish! Now if we could just get our cabbage to grow! :) Thanks for sharing on the #wastelesswednesday blog hop! 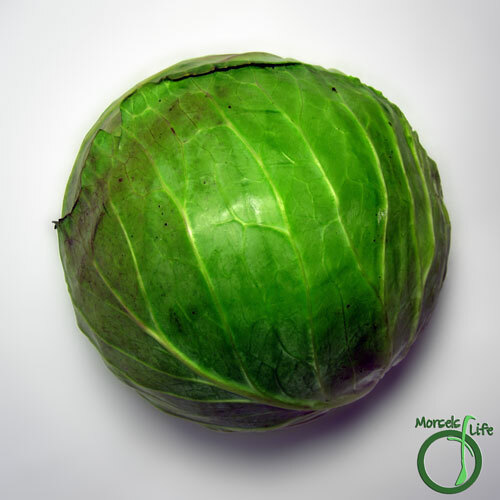 What a great way to make cabbage! It is amazing what roasting can do for veggies that you don't necessarily love otherwise! Agreed! We love roasted veggies here - especially cruciferous ones. :) Hope you enjoy! Great recipe! Thanks for linking up at #SustainableSundays! My family would love this. Roasted and not boiled or fried makes this perfect for my family. Thank you for sharing your wonderful project at #OverTheMoon. I look forward to what you will share next week! Give yourself a standing ovation today! I need to give this a try, it looks awesome!